Dodge's worst-kept secret, the Dodge Demon, makes a prominent appearance in the music video for "Go Off"
In the weeks leading up to its official reveal, the Dodge Demon is quickly becoming something of a walking paradox, or rather, a driving paradox. Dodge’s extensive “If You Know, You Know” campaign has hidden the Dodge Demon is the shadows, only offering the most obscure looks at the upcoming muscle car. However, the Fast & Furious franchise then enters the scene like Vin Diesel driving through a wall. Only in this case, he’s driving a Dodge Demon. Trailers and television spots for the upcoming The Fate of the Furious movie aren’t even the guiltiest culprits when it comes to leaking the Demon. Music videos for songs featured in the eighth Fast & Furious film appear to be claiming that honor. However, the biggest shout out is not for Nissan fans, but for Dodge fans instead. That is because this music video probably provides them with the clearest look yet for the 2018 Dodge Challenger SRT Demon. Now this is how you start a music video! To start with, the very first shot of the music video features artist Quavo standing right in front of the Demon. And it is clear as day! From there, the music video only offers more looks at the Dodge Demon, including its tires producing smoke behind it. The Demon closeups are mostly relegated to Quavo’s portion of the music video. Travis Scott, meanwhile, raps while dragging Dom’s famous Dodge Charger behind him. For Lil Uzi Vert’s portion of performance, the location is swapped out for the wrecking ball scene featured prominently in the trailers for the movie. The rapper even performs while riding a wrecking ball. The end of the music video offers up one last look at the Dodge Demon. It turns out to be the car Dom uses to ram into a truck driven by Luke Hobbs, played by Dwayne “The Rock” Johnson. “Go Off” is just one of the many songs featured on The Fate of the Furious: The Album. So we could potentially have a whole collection of Dodge Demon-leaking music videos on our hands. The Demon Leaks Keep Coming: Did Vin Diesel’s ‘The Fate of the Furious’ Speech Video Just Leak the Dodge Demon? 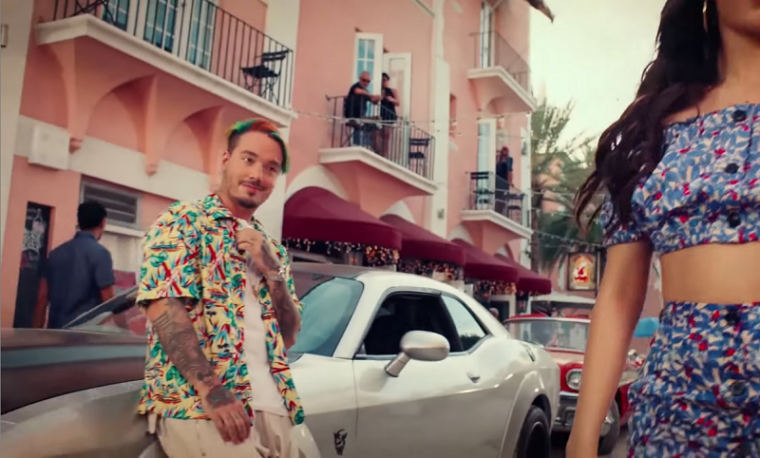 As stated earlier, the music video for the Spanish version of “Hey Ma” has already been released. Until the release of the “Go Off” video, it provided Dodge enthusiasts with the clearest look at the Demon. I suppose if you want a clear look at the 2018 Dodge Challenger SRT Demon, you don’t have to wait for the New York International Auto Show. All you really need to do is wait for the next music video from The Fate of the Furious: The Album to make its debut. Every music video gets a Dodge!